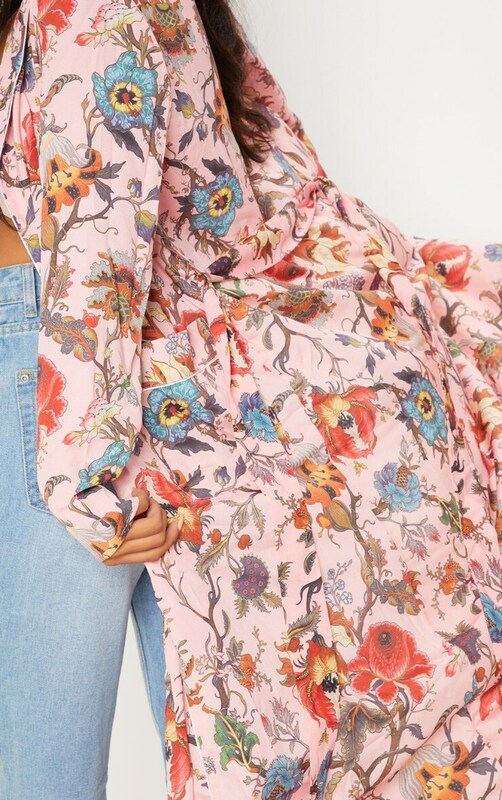 Channel serious summer vibes in this insane kimono. 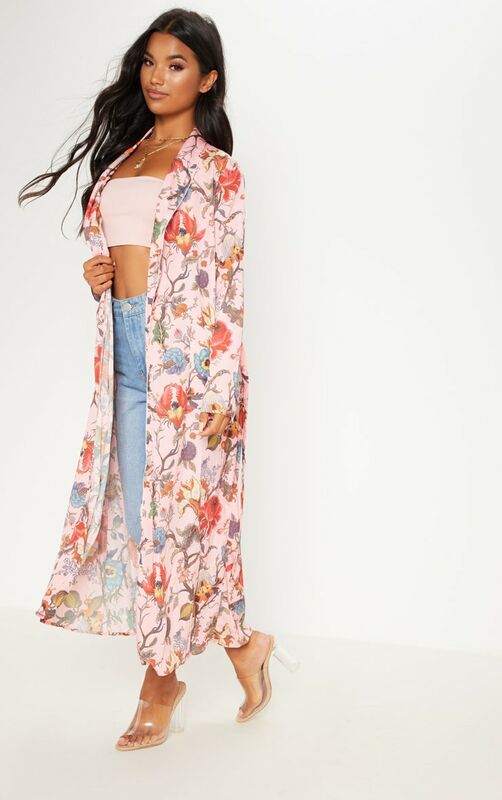 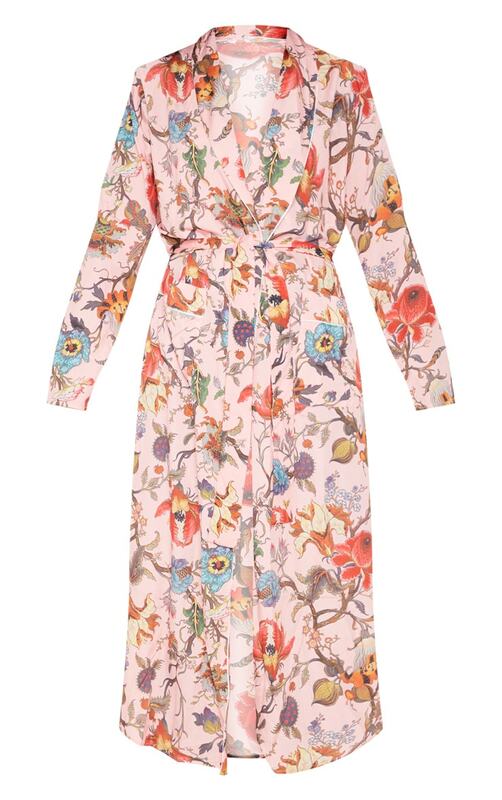 Featuring a baby pink material with an all over floral print, this floor scraping kimono is totally versatile. 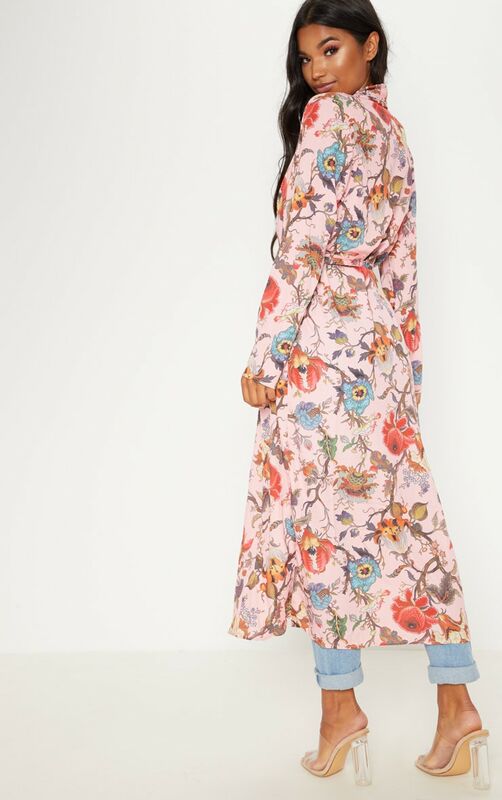 We love this teamed over a crop top and jeans or even take it to the pool side as a bikini cover up.